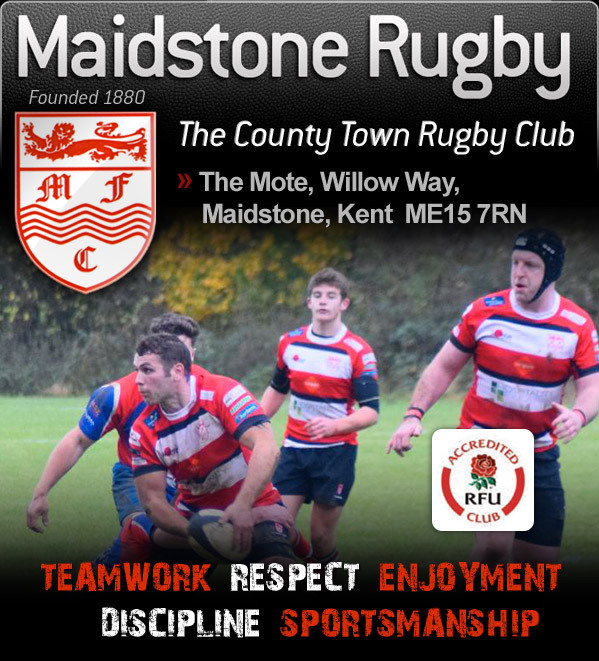 Maidstone Rugby: Are you looking for a new club? We run 4 senior sides so can cater for whatever level you play at. So why not join us at the county town's senior rugby club. New Players: Maidstone Rugby welcomes new players of all ages and abilities, see New Players page for contact information. Free membership for members of HM Forces. Situations Vacant: Please see the new Club Volunteers page of the website for roles in which the club is looking for volunteers to step forward. 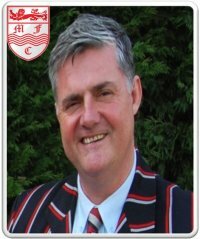 Director of Rugby – “Goodbye and Thank-you”. In many ways, this has been a difficult season, as the Club as a whole, has needed to dig deep on a number of fronts. It was hard to predict how well the season would go following the relegation of the 1st XV and with some key players moving on (not least of which the captain). However, it soon became apparent that the targets set by the coaching team were unrealistic and that we needed a different approach to ensure that we could remain competitive, whilst re-building with a group of largely young and inexperienced players. As such, a new coaching team was put together, which had an almost immediate impact on our performance and ensured that we were able to stay in the current league, which was the primary objective as we looked to consolidate and move forward. To achieve this is testament to all involved not least, the players, who have had to step up, particularly in the first half of the season, when we were hampered by unavailability and injury issues, with the brunt being borne by the Mustangs, Barbarians and Veterans, as they selflessly ensured that we could fulfil our playing obligations. Thanks to their efforts, the new coaching structure and with continued support from the Committee, we have stabilised and now have a firm platform to move forward from. Much work still needs to be done to ensure a sustainable player base but we are certainly moving in the right direction and plans are already underway as we prepare for next season. As for me, whilst I did not anticipate quite how challenging the season might be, I have thoroughly enjoyed my second tenure in the role of Director of Rugby and firmly feel that the Club, having now ridden the storm is in a very good place. Sometimes, you have to take stock and re-visit what is important – which for me, given our status as a community rugby club, is about players enjoying their rugby and doing the very best that they can (at whatever level) under the banner of the ‘one club’ ethos. I have been around the Club as a player, Head Coach, Chairman and Director of Rugby for over 30 years and I can honestly say that I have never seen the Club happier, more content and comfortable in its own skin as it is now. As I look to move away, the reins are now being passed to my successor, Pete Barford as the new Director of Rugby, who I know will do a fantastic job in moving the playing side of the Club further forward, supported by a dynamic committee and passionate set of coaches. In leaving the role, I would like to thank all the players, for believing in themselves, for trusting in change and embracing the one club culture, which is the ‘beating heart’ of this Club that I have so much affinity for. I wish you all the best for the 2019/20 season and the new heights that I am sure you will attain as a collective. 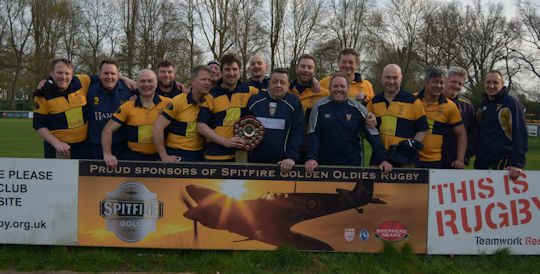 There are those that say that in Veterans Rugby you see the same skills & guile but without the searing pace: well this year’s finale to the Shepherd Neame sponsored Spitfire Gold Veterans Trophy tournament saw pace aplenty in what were four excellent finals played on a chilly but bright Sunday afternoon. 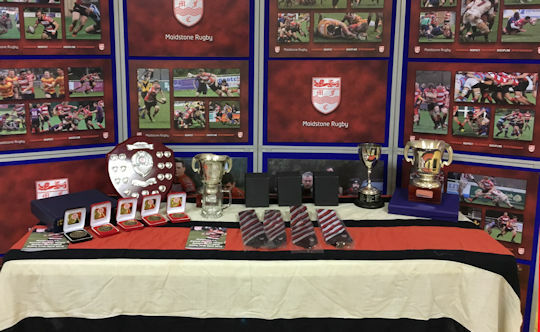 In what is now the fifth year of this competition it was pleasing to see relatively few walkovers in the pool stages, with the overwhelming majority of matches being played in a tournament that was slightly restructured this season, with new clubs signing up to the competition that now has a waiting list for entrants. What was additionally pleasing was that many of those new admissions to the competition had progressed to the finals and that it wasn’t just a repeat of the same old faces. First up was the Shield Final between newcomers Gillingham Anchorians and Charlton Pk, the early stages were of the match were quite competitive but it was evident as the match progressed that the SE London club had just a little too much power and pace for the Medway based club, eventually running out 40-7 winners to take the trophy. The Bowl Final was robustly contested between two evenly matched sides in Whitstable and Vigo and was a thrilling encounter with no quarter given by either sides. Vigo always appeared to have the edge stretching to a 10-0 lead but were pegged back at the interval to 10-10. An early score for the ‘villagers’ gave them 15-10 advantage but the ‘oystermen’ had their moments and were always in with a shout, with Vigo despite creating opportunities, never quite able to put the game out of reach; so it was there was something of a sigh of relief when the final whistle sounded. The Plate Final saw perennial finalists O Gravesendians and Sevenoaks battle it out, OGs took an early advantage and held sway 15-7 at the interval. The second half saw them very much on the defensive and their efforts weren’t helped by a couple of yellow cards followed by a delay in the action for a injury requiring the ambulance. It was after that that Sevenoaks turned the screw to lead 15-24 and despite a late OG try it was Oaks that took the trophy 22-24. The Cup Final was a cracking match between Thanet Wdrs, who regularly feature on finals day, and Westcombe Park making their debut. 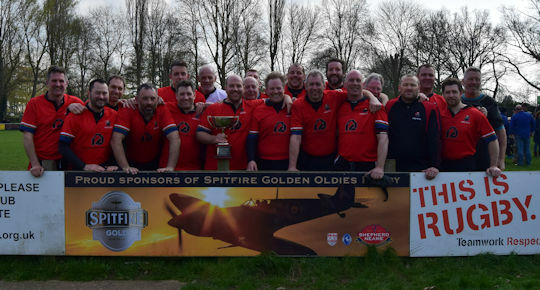 In what was a great advert for veterans rugby this was a remarkably open game with Combe holding the advantage throughout and just that bit more clinical when the opportunities presented themselves. Going into half-time with a 17-5 lead they were able to hold at bay a Thanet side that just lacked guile and incision to unlock an organised Combe defence, with Westcombe Pk eventually running out 27-10 winners. 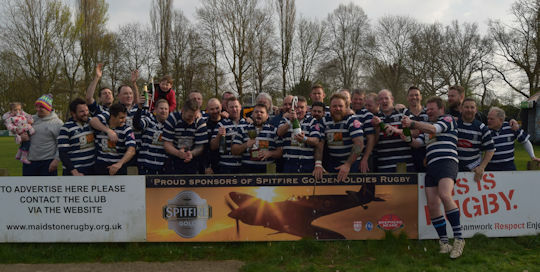 Our thanks go to Shepherd Neame for their continued support for this popular competition which is run by Maidstone Rugby on behalf of Kent RFU. National 1: No change at the top of the table as Ampthill posted a big 57-12 win over Sale, Elthamians maintain station in second place following their 19-28 win at Bishops Stortford. With Rosslyn Pk losing 31-20 at struggling Caldy, the promotion battle is now realistically a two horse race as Blackheath, who moved up to third following Park’s loss and their own 28-7 win over Rotherham, are eight points adrift with three to play. The bottom end of the table the relegation battle is still to be decided, current basement club Esher posted a welcome 34-29 win against Chinnor, whilst just above them Loughborough St lost out 26-20 to Plymouth Albion. Cambridge’s 21-22 loss to fellow struggler Moseley sees them drop below Caldy and into the drop zone and with three matches to play it really is perm any three from six for the drop. 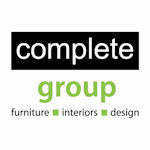 The last of the fixtures saw Conderford 29-26 winners against DMP. National 2(S): A 38-24 result saw Rams clinch the league title, whilst the defeat for B&S also sees them consigned to relegation as they fill the last of the relegation places at the bottom end of the table. In second spot and due to face the league champions next week, things didn’t look like they were going to plan for Canterbury as they had to come from behind against Barnes to clinch the playoff place with a 22-31 win and will now face Chester on 4th May. TJs in third did all they could to keep the pressure on, with a hefty 55-12 defeat of Clifton, whilst fourth placed Henley posted a similar score as the downed O Albanians 21-50. At the bottom of the table both Ldn Irsih WG and Guernsey shipped 50-points in defeat against BSE (53-7) and Taunton (19-50) respectively. With B&S losing, Dings’ 33-36 defeat at Worthing was irrelevant, as was O Redcliffians 51-24 defeat of Redruth. London Premier: At the head of the division a 31-38 win at Bedford Athletic saw S&E crowned league champions taking the automatic promotion place, whilst Wimbledon were held to a 12-12 draw at Tring meaning they just miss out on the runner up place as Westcliff will face Barnstaple in the promotion playoff, after they were 26-33 winners at Dorking. The relegation places were sorted some time ago so the remaining matches were largely an honours only affair. Tunbridge Wells fell to a narrow 33-32 defeat at Hertford and will finish in seventh spot, with county rivals Sidcup in eighth following their 20-8 win against bottom club Shelford. The remaining matches saw relegated Chingford post a handy 43-12 win against Guildford, whilst fellow relegated club Brentwood lost out 47-21 at CS Stags. London 1(S): This division went down to the last day in what had been a tight four way battle for some time; Sevenoaks held their nerve and beat Thurrock 10-26 to clinch the league title by three points from Brighton, who came from 24-12 down at fellow challengers Camberley to post a 24-26 win and take the playoff place and will now travel to face Ldn1 (N) runner up Colchester. Having set the pace for much of the season, three losses in the closing stages saw Medway’s dissolve as they went down 29-28 at Havant. Elsewhere in the table, bottom club Hove lost out 45-41 to fellow relegated clb Chobham, with Tottonians ending the season on a high with a 7-23 win at dartfordians who finished just above the drop zone. Westcombe Pk lost out 18-16 at Chichester whilst the last of the fixtures saw Cobham fall to a heavy 67-24 defeat at Ldn Cornish. Ldn & SE Playoffs: The promotion playoff fixtures clubs at Level 7 and below took place today with Horsham hosting the runner up from Farnham who had finished runners up to KCS OB in Ldn 2(SW), the Sussex club started quickly and always had the upper hand as they established an early lead, scoring at regular intervals to seal promotion with a 44-17 win. In the other match of interest Anchorians hosted Sussex based Crawley in a match that was always tight with the Kent club just shading the result 23-21 to win promotion to Ldn 3 (SE). In the other playoff fixtures, Ldn 2(NW) club move up to Ldn 1(N) after a crushing 60-6 win against Romford & Gidea Pk, Holt will join fellow Norfolk club Wymondham in Ldn 2(NW) after a 31-22 win over E London whilst Weybridge Vandals will move up to Ldn 3(SW) following their 18-22 win at Sandown & Shanklin. Maidstone Titans U16’s are a side that have been building in ability and confidence over the last couple of seasons and a set of impressive displays saw them reach the Kent Development Cup final at Ashford.. Somewhat bizarrely it was a 3-way final (less said about that the better!) between Maidstone, Old Elthamians and Sevenoaks. Maidstone took on Elthamians in their first match and despite losing Matt McGuire with a dislocated shoulder in the first 5 minutes, played well in a very tight game and with an impressive defence held a strong OE’s team to a 0–0 draw. Sevenoaks then beat Elthamians meaning Maidstone needed a win with 2 tries and a conversion. Maidstone had huge support from across the club and as the noise level rose so did the tension. Fortunately the players stayed focused with an early try but a strong Oaks team pulled back a try. Maidstone lost 2 further players, but this is now a team with belief and a great team ethos, they pulled together, defended with intensity and looked to attack at every opportunity. Two more Maidstone tries followed and at the final whistle Maidstone won 19 – 7. A well-deserved win for a great set of lads who have grown in stature this season. National 1: A 26-40 BP win over for Ampthill over struggling Moseley keeps them at the top with the gap widening to five points after Elthamians failed to get the BP in their 22-17 win against Cinderford, and with the Hertfordshire side looking to have the more comfortable last two fixtures the title is pretty much theirs to lose. Third placed Rosslyn Pk were 37-28 winners against Cambridge with Blackheath in fourth posting a 23-33 win at Chinnor. At the bottom of the table Esher’s 43-29 loss to fellow strugglers Loughborough St sees them relegated, whilst the students and Caldy still have survival hopes with Caldy posting a useful 14-22 win at DMP. Both Cambridge and Moseley are still in danger and none of the relegation threatened clubs has a particularly comfortable run in. 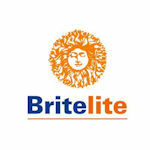 In the other results Sale were 31-22 winners against Plymouth Albion, whilst Rotherham beat Bishops Stortford 41-35. National 2(S): A 21-45 win at Clifton saw Rams wrap up the league title with two weeks remaining whilst Canterbury’s 35-23 win over BSE means that all being well they should clinch the playoff spot next week. 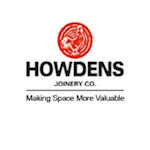 Tonbridge Juddians 23-37 win at Redruth means they remain third and in a position to pounce should their county rivals slip up, as indeed are Henley after a 60-28 win over Guernsey also sees the Channel Island club now relegated. In the other results affecting the bottom clubs, relegated Ldn Irish WG lost heavily, going down 5-61 to visiting O Albanians. A 5-41 loss for B&S to visiting Barnes means they are all but down but a positive result next week for both Dings and O Redcliffians will seal they fate. Both clubs lost out today, as Dings fell to a 32-20 loss at Taunton, whilst O Redcliffians lost out 39-33 at Worthing. London Premier: At the head of the table on the penultimate weekend, leaders S&E slipped to a 19-25 loss against fourth placed Tring, meaning they still need a positive result next week to secure the title. The battle for the playoff position sees Wimbledon and Westcliff still locked together, as they posted BP wins against Hertford (31-39) and relegated Chingford (46-12) respectively. The relegation issues have already been decided, nevertheless, bottom club Shelford posted only their second win of the season with a 28-27 win against Dorking. Brentwood lost out 34-54 to visiting Bedford Ath, whilst in the mid-table encounters Tunbridge Wells moved above county rivals Sidcup with a 17-10 win in the match between the two clubs. Elsewhere Guildford were 34-24 victors against CS Stags. 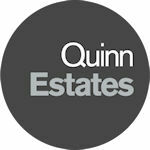 London 1(S): In what is the tightest promotion battle in the region, each week’s results effectively torpedo one candidate’s promotion aspirations, last week it was Brighton’s whilst this week it looks like Medway fall by the wayside as they lost out 13-24 to Camberley and slip to fourth place with Camberley in second place. Brighton sit third after a 21-39 win over relegated Chobham, but its Sevenoaks that top the table on points difference from Camberley, after a 36-17 win against Chichester. At the bottom of the division Hove came within a whisker of their first win in the campaign with a 33-33 draw against visiting Ldn Cornish, Chobham lost and Tottonians relegation was confirmed after they fell to an 18-25 loss to Havant. The remaining fixtures saw Cobham lose out narrowly, 29-32 to Thurrock, whilst Dartfordians lost 48-17 to local rival Westcombe Pk. London 2(SE): At the top, champions Beckenham signed off with a 55-12 win against Gravesend but the real interest was in the playoff battle; Horsham were in pole position and a 76-12 win against Maidstone meant that Charlton Pk’s 39-26 win against Haywards Heath was incidental. At the bottom relegated H&W and Aylesford lost out against Dover (42-45) and D&B (28-15) respectively. In the remaining fixture Colfes fell to a 26-10 loss at Thanet. London 3(SE): Champions Crowborough concluded their campaign with a 24-17 win against O Wills, whilst Beccehamians secured promotion with a tight 12-13 win at Bromley rendering Folkestone’s equally tight 27-29 win at Vigo meaningless. In the last of the fixtures Pulborough beat relegated Lewes 25-40. Kent 1: Champions Ashford were 3-36 winners at HSBC whilst Anchorians posted a 7-27 win against Foots Cray as they prepare to host Crawley in next week’s promotion playoff. 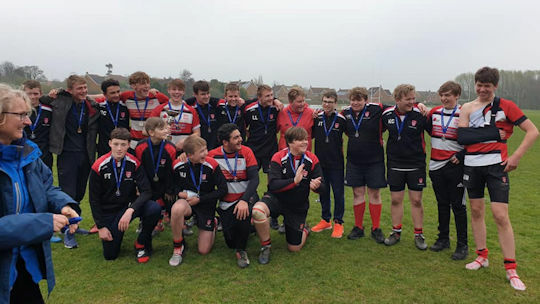 Relegated Sheppey had no fixture so the remaining fixtures were honours only, Cranbrook swapped places with their opposition in third & fourth places after losing out 19-27 to Southwark, whilst Kings Coll beat NAG 39-0 and Whitstable were 27-12 winners over OGs. Kent 2: Having secured the title last week, Cliffe fell to only their second defeat of the season, going down 30-22 to second placed Faversham, third placed Lordswood had no fixture whilst Sittingbourne in fourth beat bottom club Askean 5-34. The remaining fixtures saw Brockleians beat Bexley 17-27 and Dartford Valley lose out 6-10 to visiting Greenwich. 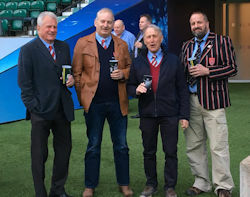 Following an invitation to clubs to send a party to Twickenham Stadium, a few of the club’s Ground Volunteers led by the Club President took the opportunity to be hosted for the evening by the RFU. A reception in the players tunnel and drinks pitchside was followed by a Q&A session in the England dressing room in the company of former England international captains, Nigel Melville (RFU DoPR), Sue Day (RFU CFO) and Phil de Glanville (RFU PGB). This was followed by a tour of the recently revamped and extremely impressive East Stand Hospitality facilities ending up for food and refreshments in the new Union Bar. All in all a great evening, and a nice way to say thanks to those that put their time in behind the scenes. 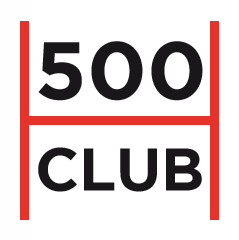 Below is the list of the most recent 500 Club Winners, as picked by our random number generator. The proceeds to the club goes to pitch maintenance for the benefit to all. After doing such a stellar job of the Junior fixtures, Craig Rixon will need to step down at the end of the season due to work commitments. The club is truly thankful to Craig for his fantastic efforts in coordinating the youth games. This means that as of next season, the club wil need a new Youth Fixtures Coordinator. 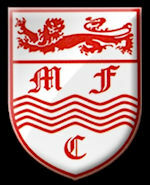 In the role, you’ll be responsible for organising rugby fixtures for all age groups within the Maidstone Youth section. Players will rely on you to ensure the fixtures provide the right standard of rugby, reflecting the needs of each age group. As it’s all about playing rugby, it’s safe to say it wouldn’t be a rugby club without you. The role is not as daunting as it sounds and we guarantee that you'll receive the gratitude of the players, coaches and supporters alike. 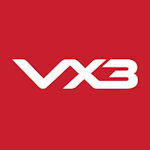 You’ll be the source of all knowledge about upcoming matches, keeping the season alive and on schedule. The skills needed to do this role are transferable to any walk of life, so having something like this on your CV is attractive to potential employers. After 14 years long service and an incredible amount of money gained for the club, Bob Hayton will be stepping down as Sponsorship Officer at the end of the season. Over the years Bob has built up a network of relationships that have benefitted the entire club. From shirt sponsors to Mike Tindall & Lawrence Dallaglio visits, his efforts have reaped such reward for the club. With his everyday work load becoming more pressing, coupled with the multiple hats he already wears for the club, he has reluctantly decided to pass one of hits hats on. The club is obviously looking for a replacement as soon as possible. Bob will be on hand to help transition the existing relationships across to the new incumbents. With the groundwork laid over so many years, maintaining these relationships is key, but should not be to arduous if picked up quickly. This is not a role that needs to be filled by one person and we do have a couple of volunteers willing to help out. However, the club still desperately needs a lead in which to coordinate the tasks and oversee the role. 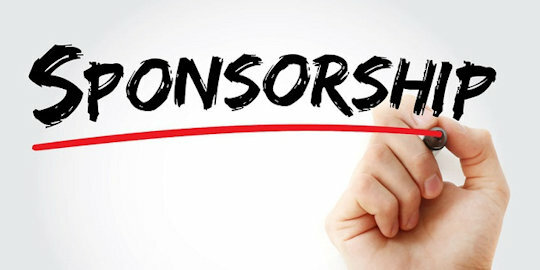 The club is also looking to offer a commission base for the Sponsorship role as an incentive to any and all volunteers willing to help the club. If you are interested in coming on board, then please contact Bob Hayton in the first instance. The only thing left to say is to thank Bob wholeheartedly for his efforts and persistence throughout his tenure, which without, the club could be in a far different place. 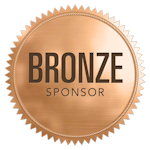 The 2018/2019 annual awards dinner will take place on Thursday 18th April, the day before Good Friday. This year it emanates from the Cornwallis Suite, which is part of the Maidstone Masonic Center. The event is open to all members to be part of as we toast the season and then hand out the coveted awards. The doors open at 7pm on the night at a cost of £25ph, payable at the clubhouse bar no later than April 2nd. We hope you can join us for this very special night in the calendar. This season’s Sponsorship & Advertising campaign is progressing well but assistance is required to maximise perimeter board sales. The success of the club in being able to generate perimeter board sales in recent seasons has meant that the Sponsorship Manager's role has outgrown what can be achieved and fulfilled by one person and in many respects the sale of perimeter boards is 'treading water' as opposed to increasing sales. As a consequence the club is looking for a volunteer, or team of volunteers to take on the responsibility for perimeter board sales as a standalone role. The role could be fulfilled by either a single person, or ideally a small team of volunteers. Whilst the period of the upcoming closed season is the busiest period as the club targets funding for the new season and looks to generate sales accordingly; this is also a year round role with no defined deadline for achieving sales. Those interested in what is an extremely rewarding role should be proactive in generating and exploring opportunities and display a degree of dynamism and tenacity in pursuing potential leads. 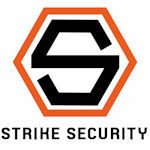 For a full description of the role click here. The club will be launching a new online booking system for the Physio department at the club. 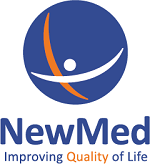 The intention is to help the team plan clinics and also help make sure that everyone can be seen in a timely fashion. The priority on Thursday will go to senior players looking to play games on the Saturday, but the booking system will help make scheduling an appointment easier. 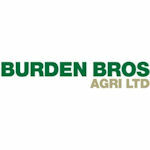 The online system will be trialled until Christmas. A booking link will be added to the club’s website and also to the clubs Facebook players page, for members to book. 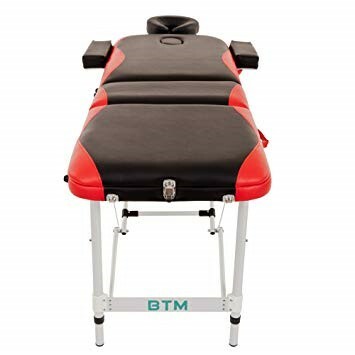 Please remember that treatments are for paying members and you maybe refused service if you are not paid up. The Summer 2019 Quilter Internationals purchase window opens at midday on Tuesday 4 December. These tickets are not being distributed through the usual RFU allocation system and must be booked directly by the individuals/groups concerned. * A junior concession is available on categories 2, 3 & 4 at £15. **A junior concession is available on categories 1, 2, 3 & 4 at £15. Payment for all tickets must be made by credit and debit card. There is a £3.50 service and delivery charge per transaction. Your own copy of the Annual County Handbook. 2 issues of the Kent RFU ‘In Touch’ Newsletter. The entitlement to apply for international tickets through the county. 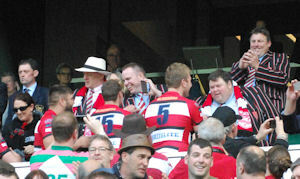 Free entry to RFU County Championship home fixtures. 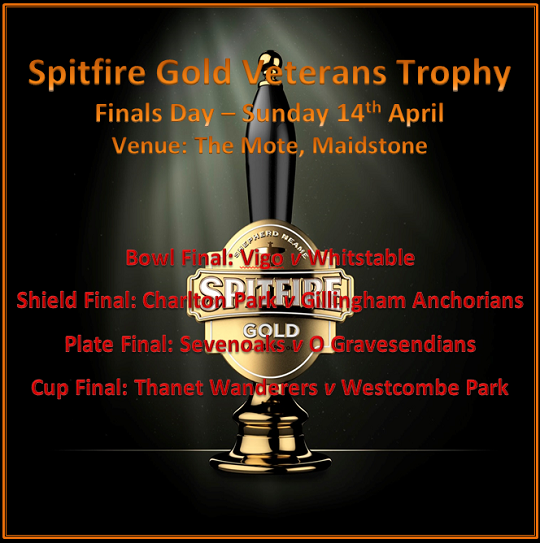 Free entry to the Shepherd Neame Kent Cup finals day. For further information or if you have any queries contact Kent RFU Membership Secretary Steve Homewood (click here) and to download a Kent RFU membership form (click here) which should in turn be forwarded to Steve. As part of our recruitment drive, the Club is offering a massive 50% discount off of your senior playing membership. All you need to do is recruit a friend to come and play for Maidstone. Once they are a signed up and a fully fledged playing member, the club will discount the last 6 months of your membership. This season we are eligible again to take part in the RFU Intermediate Trophy, which has the final played at Twickenham. The last time we entered was 2015, where we saw off stiff competition from Diss and Coney Hill to set up the final at Twickenham against Bridgenorth. The rest as they say, is history. Memories of that day can be found here, and it is something we hope to experience again. For more information, please speak to Director of Rugby Andy Golding, or Head Coach Mike Hebden. The last batch of club blazers was ordered and delivered over 2 years ago (2013) and there have been expressions of interest in obtaining a blazer from various quarters throughout the past season. The club is prepared to assemble another order but you should be informed that the minimum order quantity is 20 and the last order took c2 years to assemble. Therefor if you put your name forward please be aware that this will not be a rapid process. Please note that given that it took c2-years to assemble the order for last batch of blazers this batch is therefore expected to be the last order for the foreseeable future, so if you don't order one, you may well miss the boat! !